$2.49 to $79.99 & FREE Shipping on orders over $59 $35. 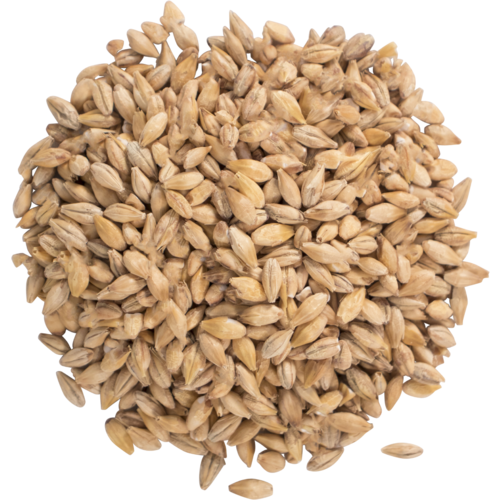 1.7-3.2L Weyermann® - This malt helps keep the mash in the correct pH range. It also adds a mild sour flavor. Must be mashed; use up to 10% in your mash. We use this to help our ph as we use RO water, we also add salts according to the recipe. Used to control mash pH. I use this in the mash for pH adjustment. Easy way to make a sour. 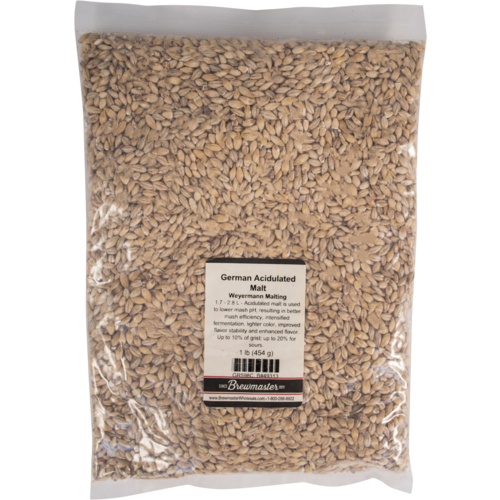 Acidulated malt is great for reducing your malt PH when you like to stick to German purity laws. Use it to adjust the ph of my mash. Does the job. Easy to use. We use this to add to the grain bill to get proper ph levels. It's based on the particular recipe we are brewing. This goes in all my light colored brews. I use spring water (may as well be RO or distilled - it has almost nothing in it). In those conditions 2% of this malt has hit my mash pH range every time for IPAs and blondes. I have lactic and phosphoric acid on hand for emergencies, but have never needed to adjust the mash pH with those. TIP 1: Buy a few pounds and reseal with a vacuum resealer (you only need 3-5oz per 5gal batch typ). TIP 2: crack the grains or don't crack the grains - it doesn't matter. Just get 'em in the mash tun. The lactic acid is on the outside. Good for when brewing a light colored beer and you want to lower the pH a few tenths. Great to balancing out the correct pH and for using as a grain bill in any sour recipes. No more than 5%-7% of grain bill should be used.